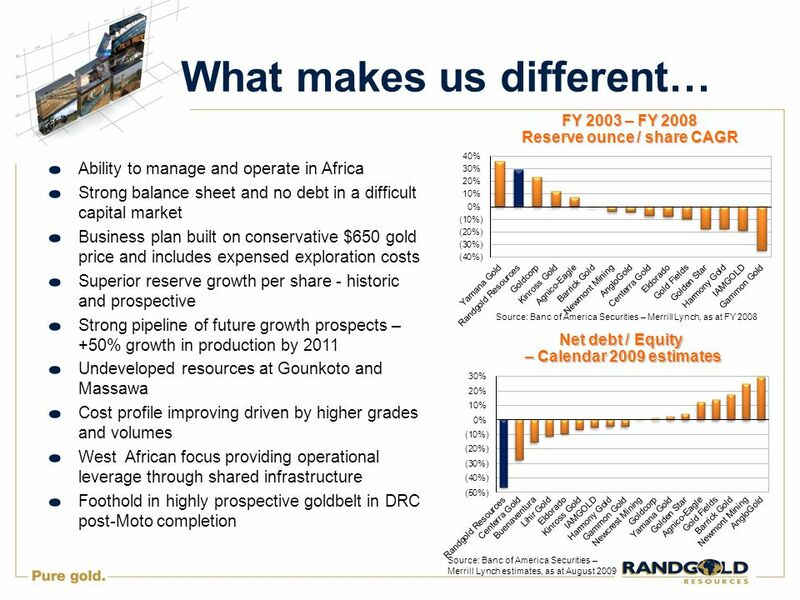 Randgold Resources… focus on value creation drives our strategy September 2009. 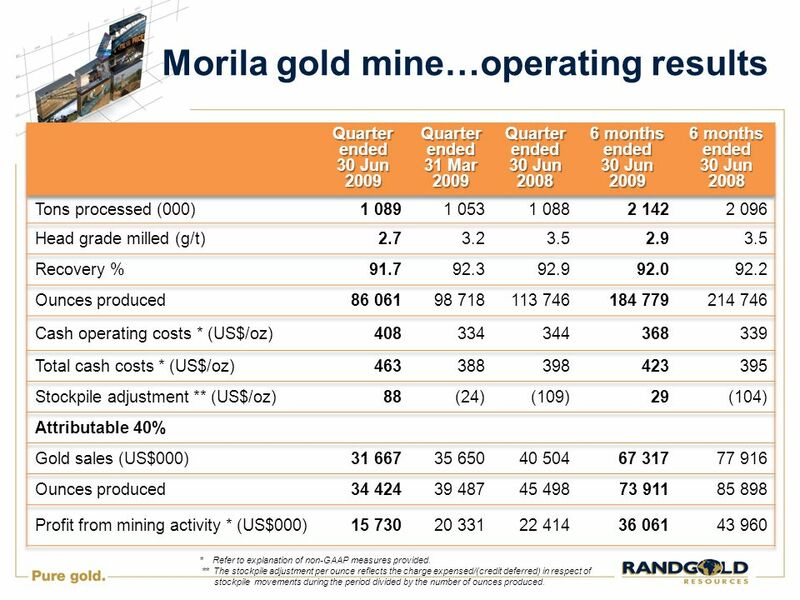 7 Morila gold mine…operating results * Refer to explanation of non-GAAP measures provided. 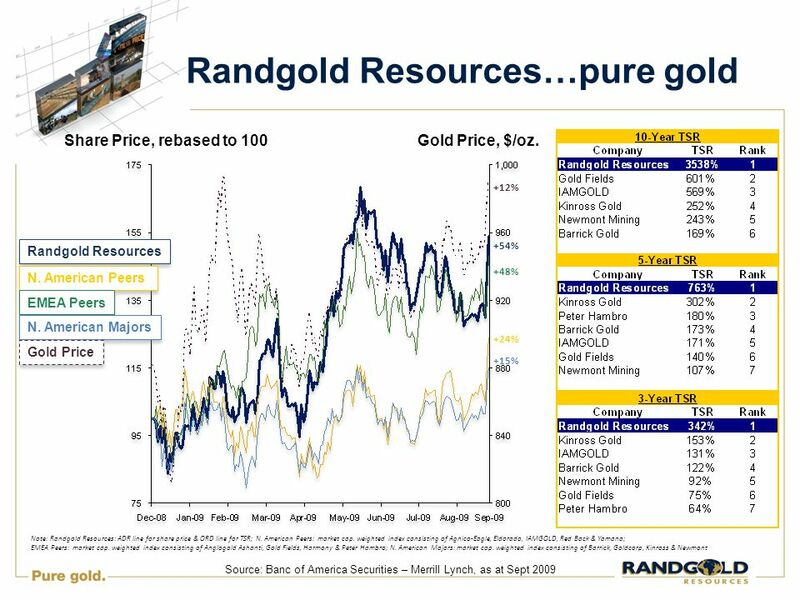 ** The stockpile adjustment per ounce reflects the charge expensed/(credit deferred) in respect of stockpile movements during the period divided by the number of ounces produced. 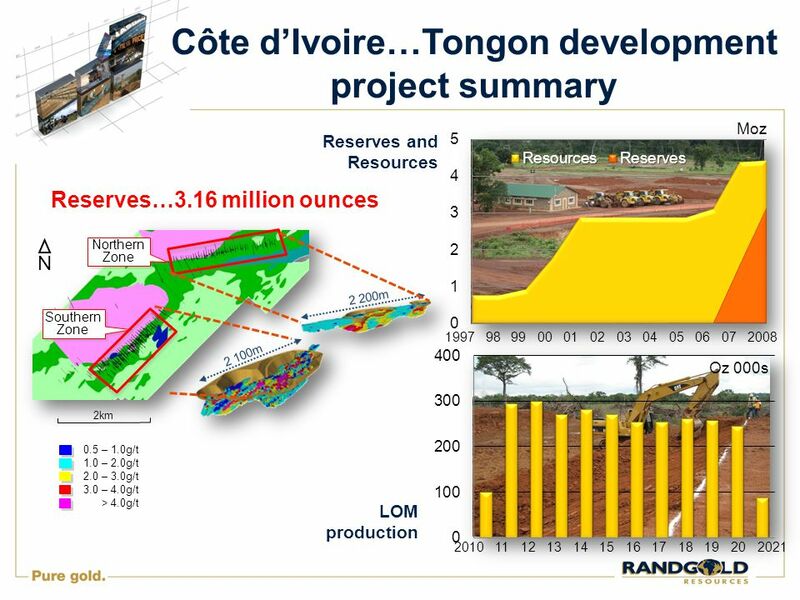 9 Loulo gold mine…operating results Randgold Resources owns 80% of Loulo and the Government of Mali 20%. The Government’s share is not a free carried interest. 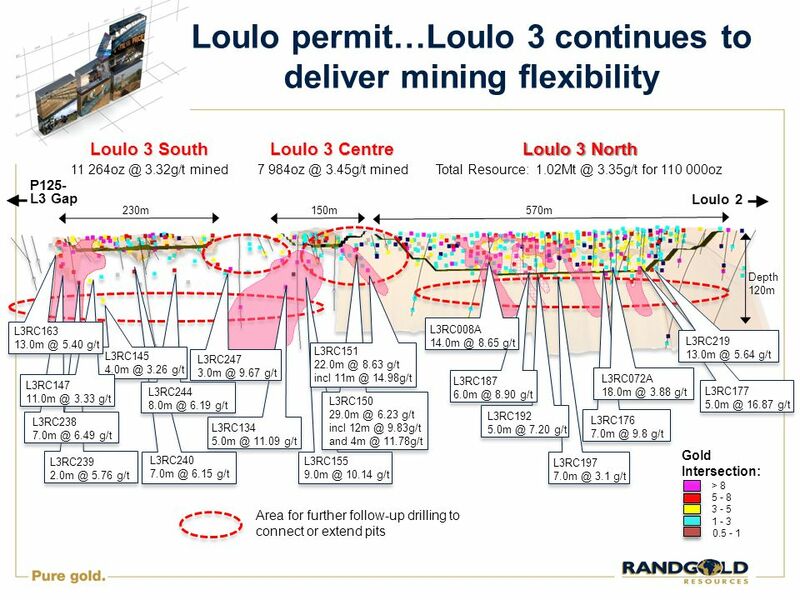 Randgold Resources has funded the Government portion of the investment in Loulo by way of shareholder loans and therefore controls 100% of the cashflows from Loulo until the shareholder loans are repaid. 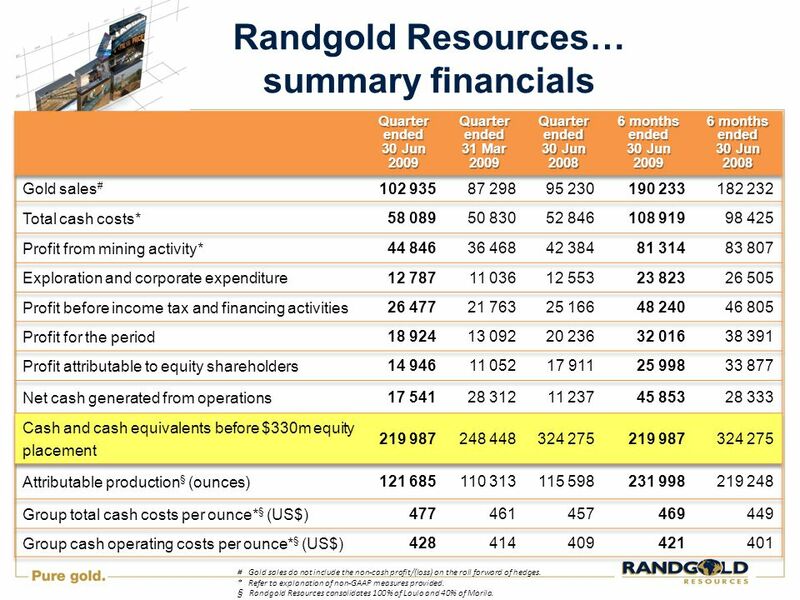 19 Randgold Resources… summary financials # Gold sales do not include the non-cash profit/(loss) on the roll forward of hedges. 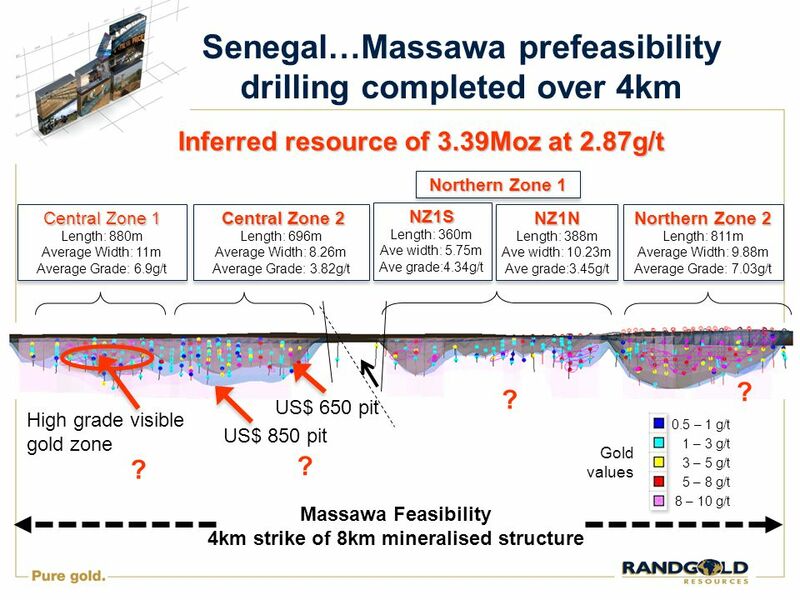 * Refer to explanation of non-GAAP measures provided. 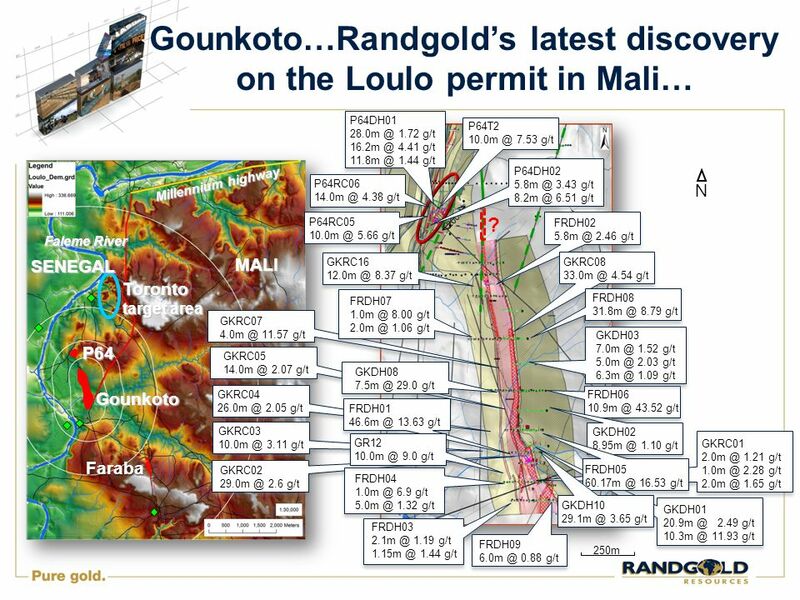 § Randgold Resources consolidates 100% of Loulo and 40% of Morila. 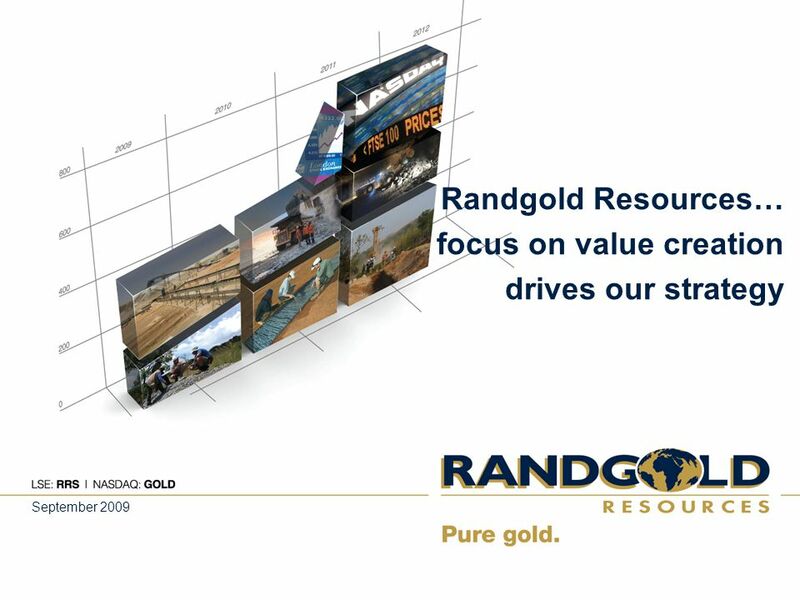 Download ppt "Randgold Resources… focus on value creation drives our strategy September 2009." Adapting to a Changing Energy Environment Russ Girling, President and CEO, TransCanada Corporation May 15, 2012 STRIKING A BALANCE IN THE MIDST OF CHANGE. 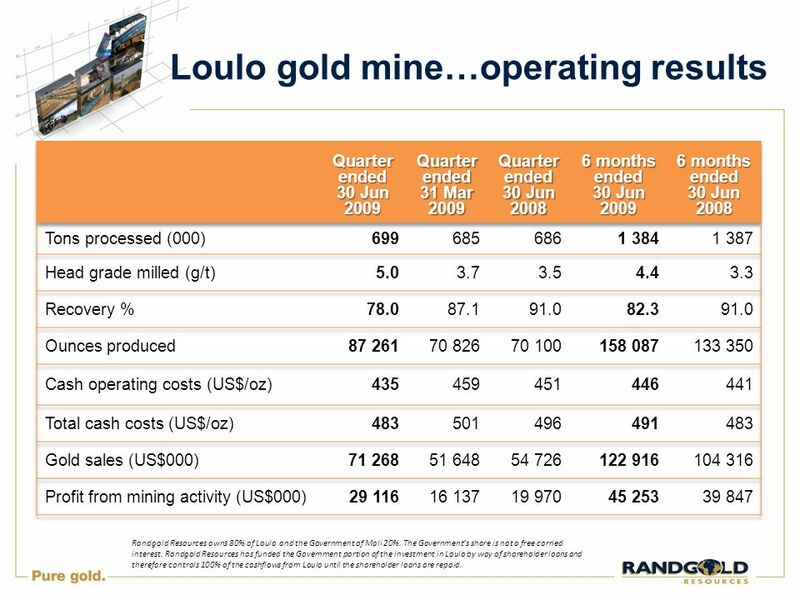 2008 Second Quarter Results TSX: LUN NYSE: LMC OMX: LUMI. 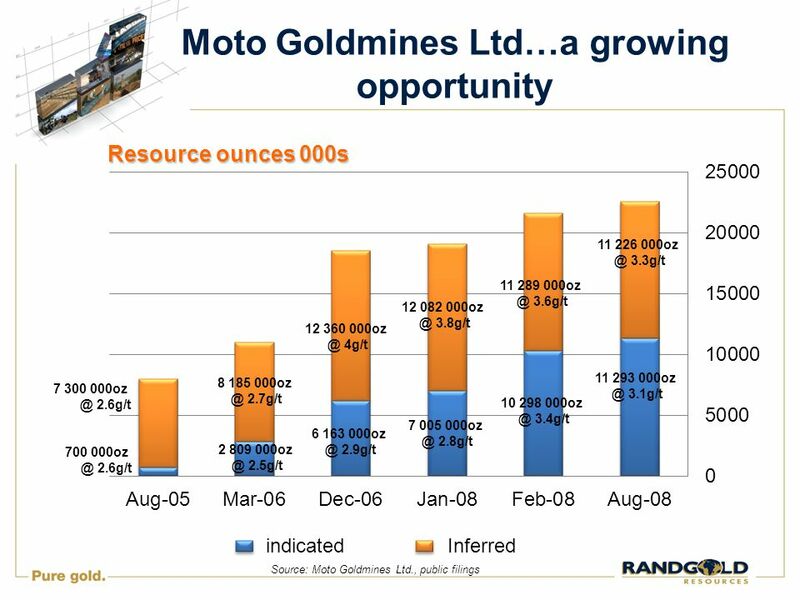 1 FIRST QUARTER 2009 INVESTOR CONFERENCE CALL. 2 Today ’ s Hosts Steve Romano Chairman & Chief Executive Officer Jim Baumgardner President & Chief Operating. 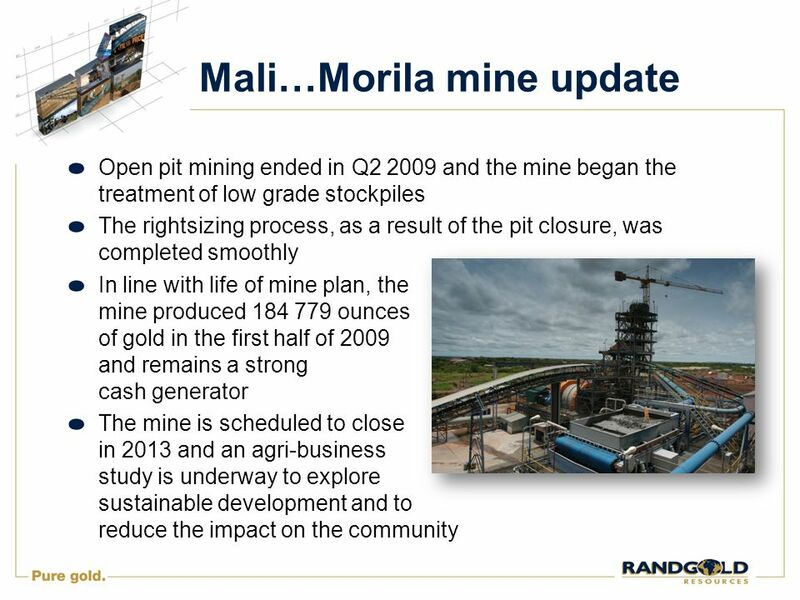 1st Quarter 2012 Results May 10, 2012 Tom Mair President and CEO. 1 inVentiv Health, Inc. (VTIV) First Quarter 2008 Earnings Call May 12, 2008. 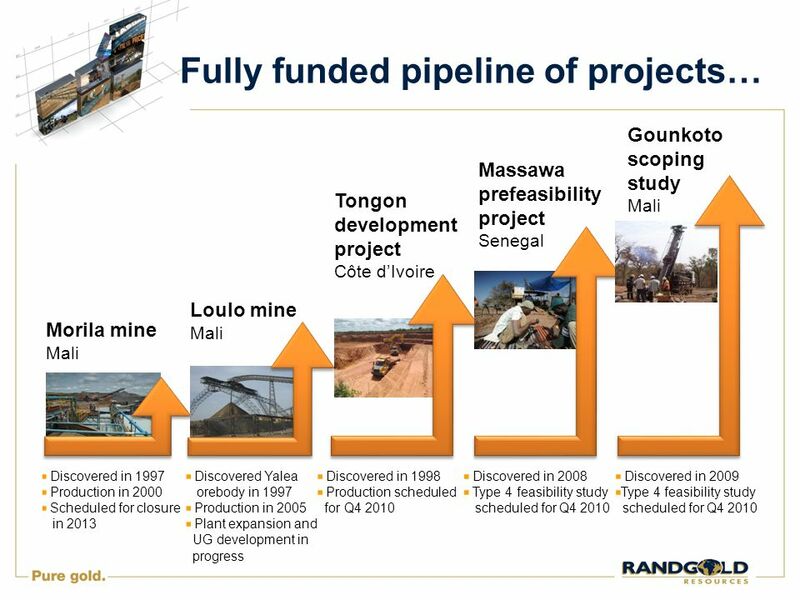 JinkoSolar Holding Co., Ltd. Q Earnings Call Presentation June 7, 2013. 2014 Annual Meeting of Stockholders Dan Moore, President & Chief Executive Officer September 18, 2014. 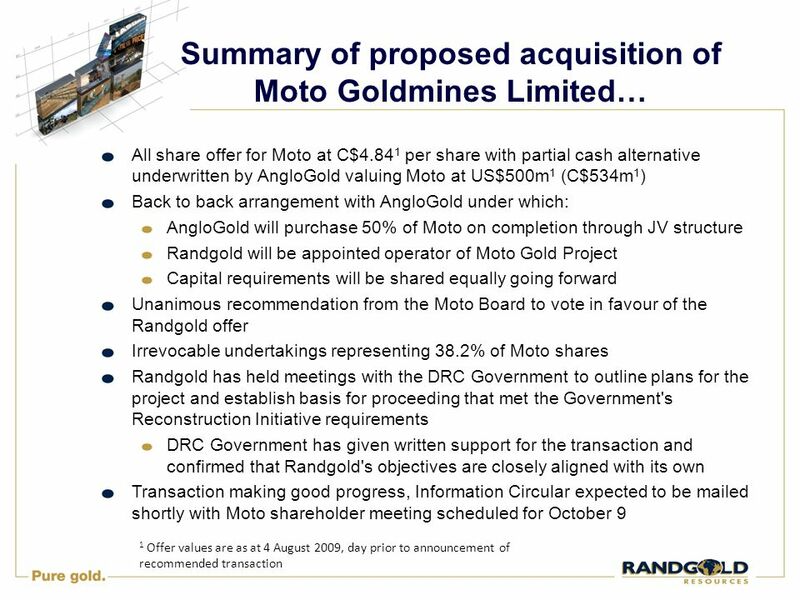 China Petroleum & Chemical Corporation Q1-Q Results Announcement 28 October 2005. SAFE HARBOR Certain statements contained in this presentation regarding Rick's Cabaret future operating results or performance or business plans or prospects. 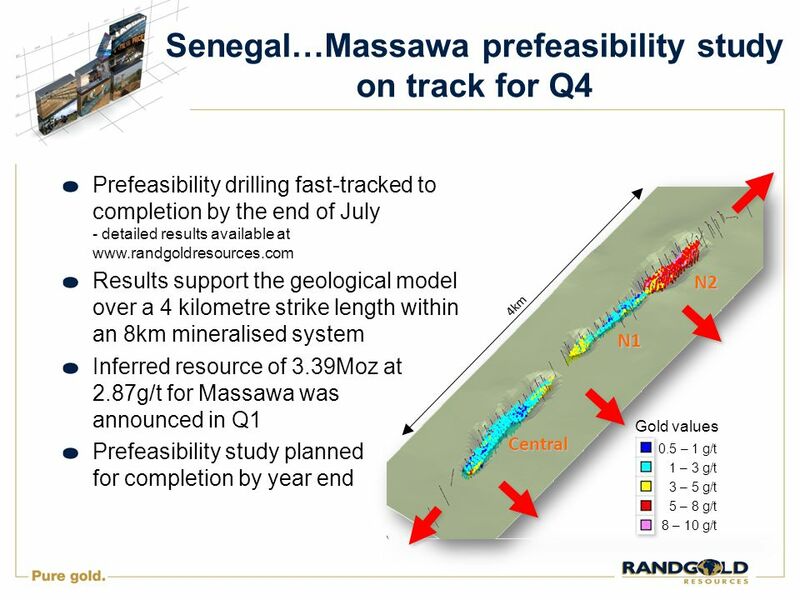 Q and 2015 Targets investor conference call February 12, 2015 Darren Entwistle, Executive Chair Joe Natale, President and Chief Executive Officer. 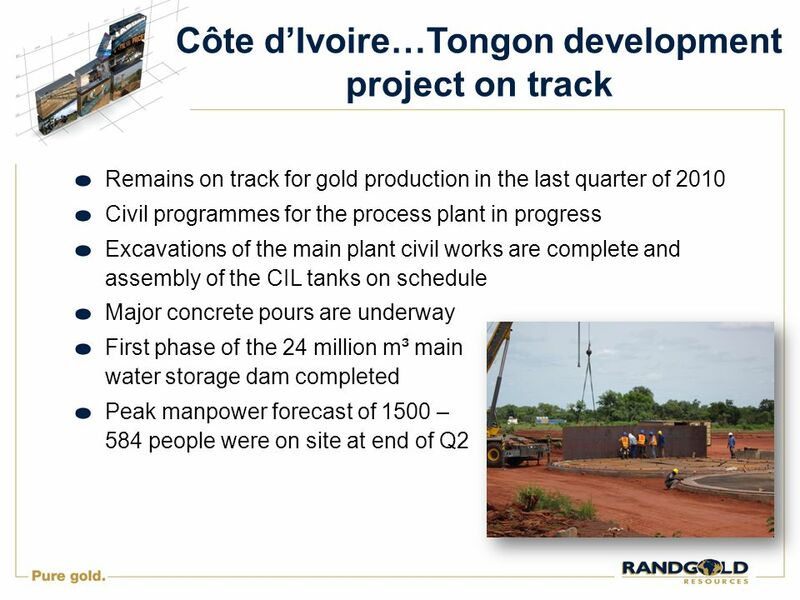 November 20, 2014 FY2015 Q2 Review. Safe Harbor Statement 2 This presentation includes forward‐looking statements. 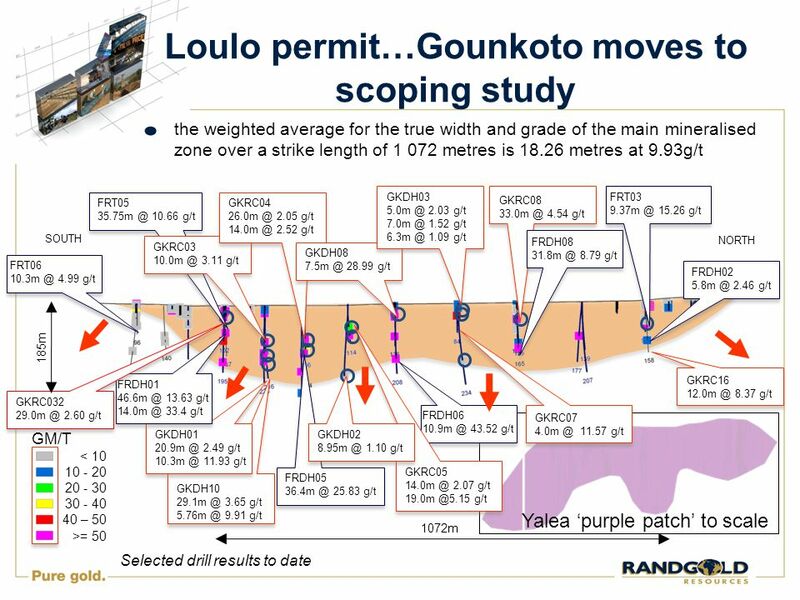 Forward‐looking statements may be identified. 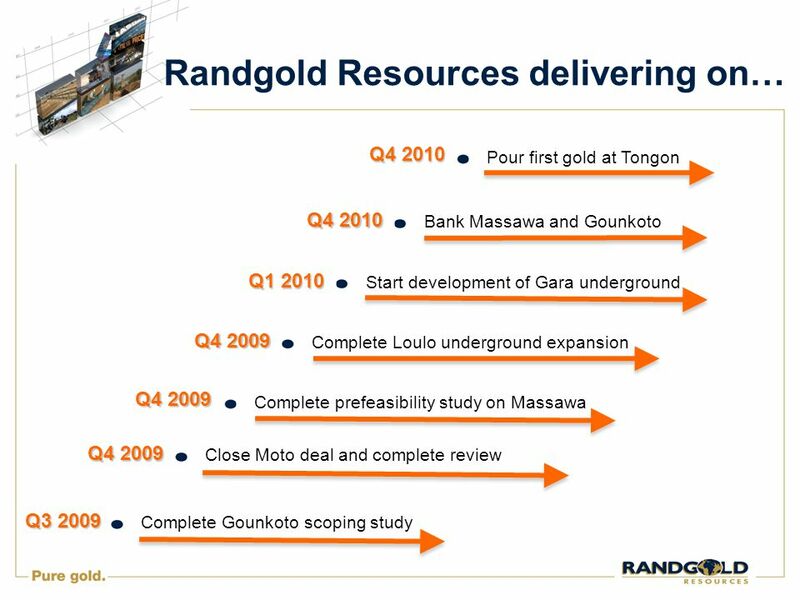 1 Big Yellow Group PLC Big Yellow IFRS 2005 Restatement September 2005. 1 ICON Plc. 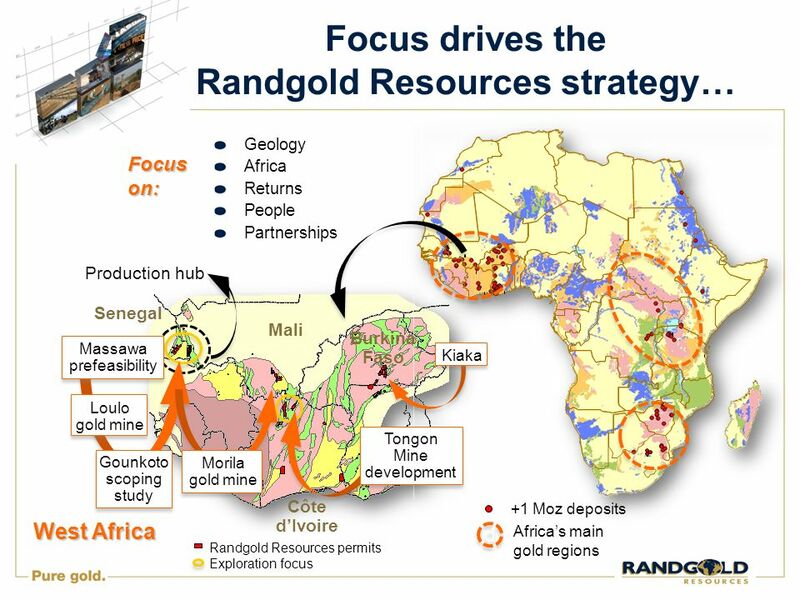 Merrill Lynch - Global Pharmaceutical, Biotech & Medtech Conference, September 19 th 2007. Return of Value 2007 Update on current trading and prospects and proposed Return of Value to Shareholders 14 March 2007. 1. 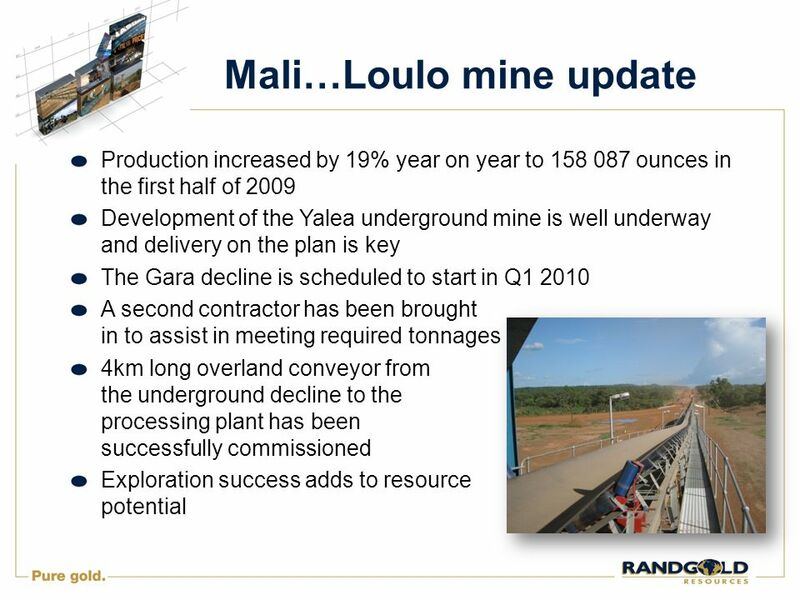 Investor Presentation April Disclaimer DISCLAIMER: This presentation contains forward-looking statements including but not limited to comments. 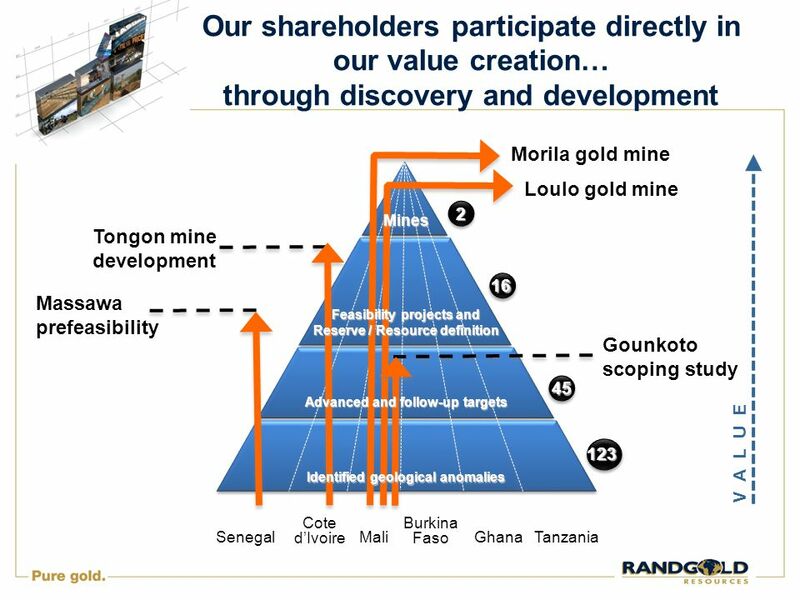 Understanding and Valuating Exploration Companies 24 May 2007 Shane Hunter. 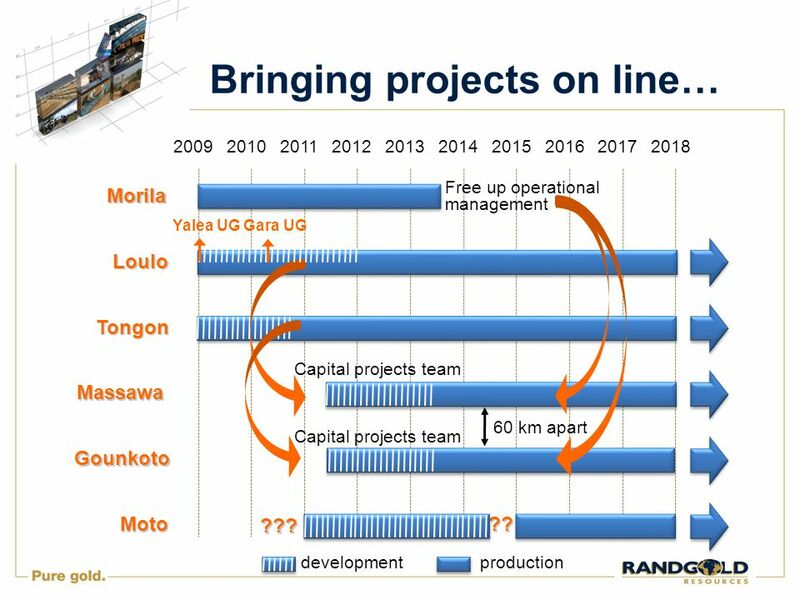 4.7 Billion Rand Investment In South Africa Driefontein 9 Sub-vertical Shaft Depth Extension and Kloof Extension Area Decline Shaft System 7 September. 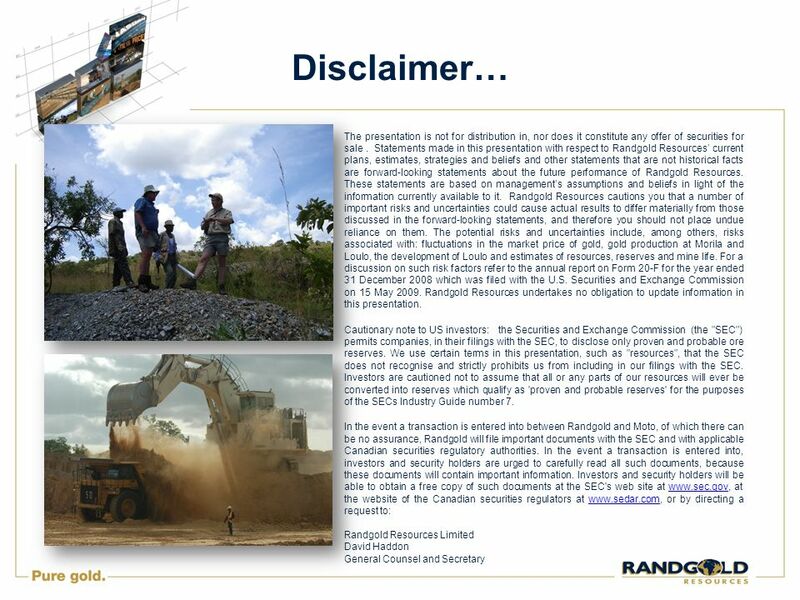 10 December This presentation contains forward-looking statements within the meaning of Section 27A of the Securities Act of 1933 and Section 21E. 1 VimpelCom – September 2004 Company Presentation VIMPELCOM September 2004 Brunswick UBS Annual Conference. 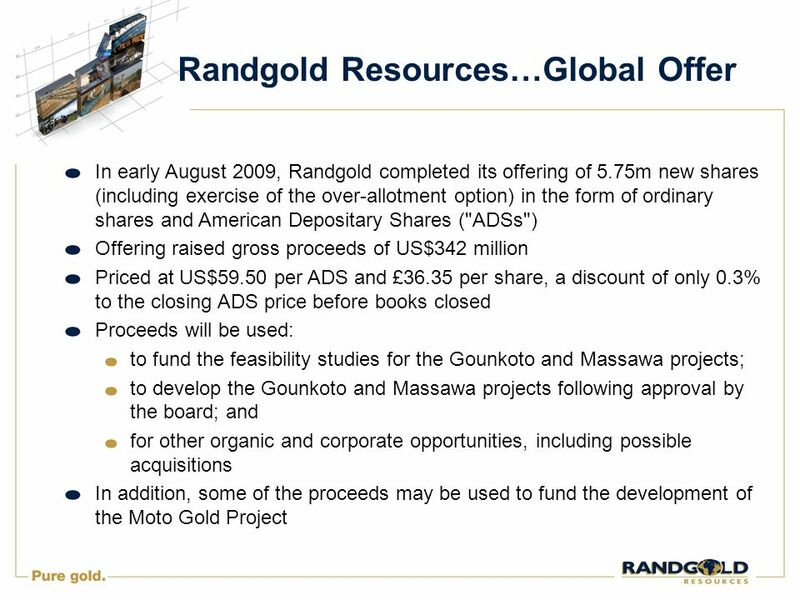 Supplemental Analyst Package First Quarter 2008 Earnings Call April 30, 2008. 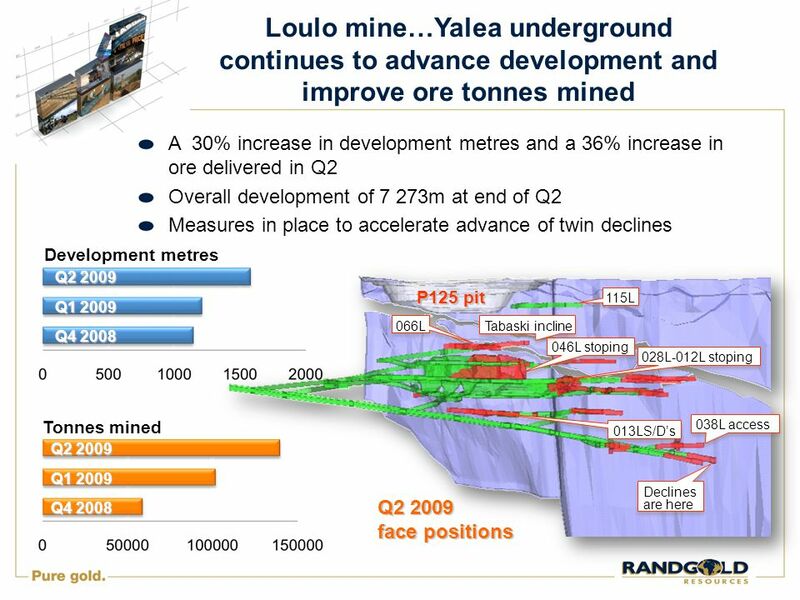 Results for the quarter and year ended 31 December 2009.